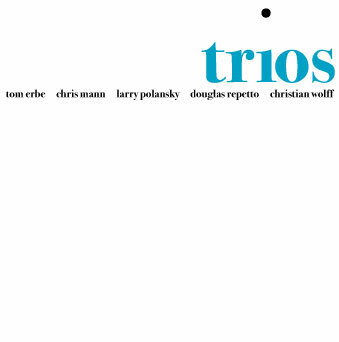 Trios Trios is a collaboration between five musicians, over time, and over space. It combines instrumental and electronic improvisation with non-real-time computer processing and editing. Mann, Repetto, and Polansky recorded several hours of live improvised material in one session. Months later Repetto, Polansky, and Wolff recorded some more. The recordings were then sent off to Tom Erbe, who culled interesting sections from both sessions and then processed, edited, and mixed them to form the six tracks on the CD.